When it comes to summer, Elderflower is one of the most refreshing drinks to sip in the sun. 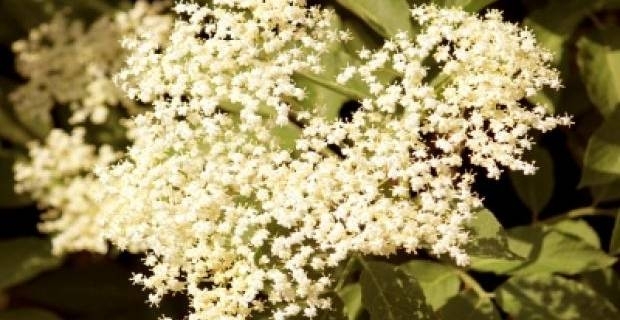 To help your brew your perfect beverage, we've written down our best Elderflower cordial recipe for you to recreate at home. The recipe is easy, simple to make and tastes delightful for BBQs, picnics and light summer lunches! For thie Elderflower cordial recipe you'll only need to take 40 minutes out of your time to prepare the mixture. But you'll have to let it steep for over 48 hours, so make sure you plan in advance and make your Elderflower cordial well a head of time. 55g of citric acid available from most chemists. To prepare, place your sugar into a large sauce pan, or a large boil. Pour boiling water over the sugar and stir until the sugar has completely dissolved into the water. Leave this to cool. Next, grate the rind of lemons with a very fine grater and add this to the sugar water mixture. Slice the remaining lemons and add to the water for extra kick. Add the citric acid and stir thoroughly before finally adding the flower heads. Cover the mixture with a cloth or, ideally, clingfilm. Leave this to steep over 48 hours for a perfect flavour. Once steeped, strain through clean fine muslin clothe into a new bowl. You can then use a funnel to transfer the cordial to water bottles and store in a cool, dark place for future use. This particular Elderflower cordial recipe should be stored in a cool, dry place such as a cupboard. Do not store the Elderflower cordial in the refrigerator. You can freeze your cordial to make it last longer if you like, but must ensure it's fully thawed before using. Mix cordial with desired amount of water to gauge strength of the mixture.